Jim Rey knows the cowboy life very well, having grown up in a ranching family. Surrounded by wide-open range, this cowboy rides through the rough terrain checking his herd. While "Making His Rounds," he comes across a calf nestled on the ground among the grasses. 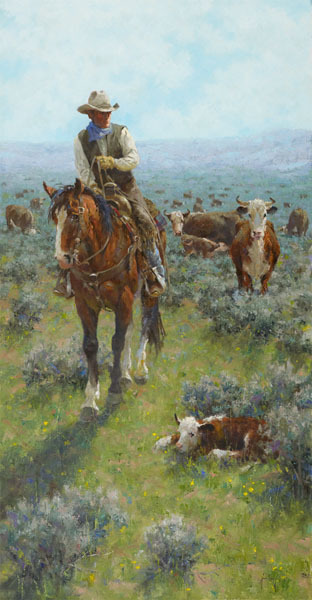 The cowhand pauses as perhaps this youngster needs his attention.